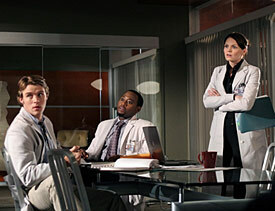 on multiple cases in the HOUSE season three premiere episode "Meaning"
airing Tuesday, Sept. 5 (8:00-9:00 PM ET/PT) on FOX. Chase has been there the longest (this is stated in a piece cut out of the pilot but referred to as well in the episode "All In" when he talks of cases he was involved in early on and what he heard from a previous person on a Fellowship). House claims he hired him because his father made a call. Cameron was hired next. House claims he hired her because of how she looks. 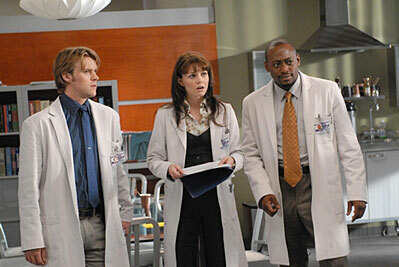 And then Foreman, who House says he hired because he had a juvenile record and he needed someone with street smarts. and Dr. Allison Cameron (Jennifer Morrison). Tuesday, Feb. 14 (9:00-10:00 PM ET/PT) on FOX.